OK, guys. 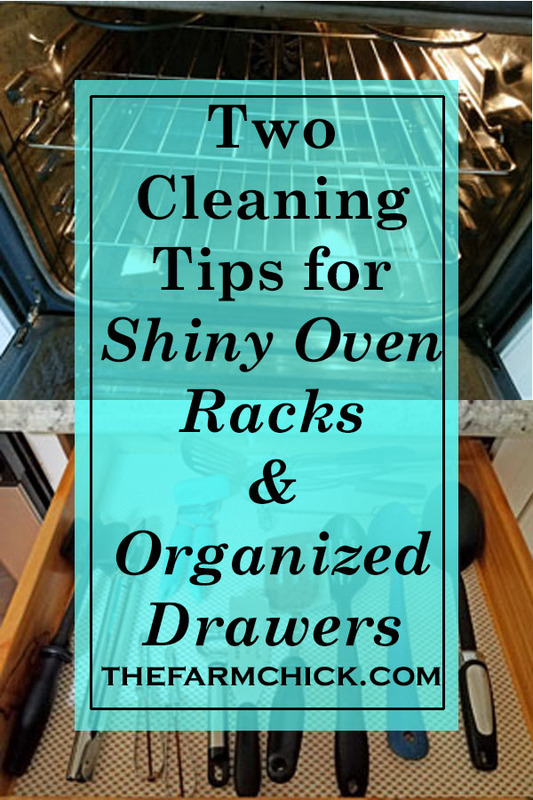 Last week I learned two housekeeping tips that totally rocked my world! I excitedly told my sister about them and now I’m telling you! Seriously, these are two seemingly little tips in and of themselves, but they have made a big impact- both visually and mentally. Well, the first one came from Jen over at How Jen Does It. She has a weekly cleaning routine called “Zone Cleaning.” Basically, in addition to the regular maintenance cleaning you do everyday (laundry, dishes, etc), she does detailed cleaning (think deep cleaning) every day for 15 minutes in different zones. The idea is that if you have 8 zones, then every two months you will have deep cleaned your entire house. This idea completely intrigued me. I haven’t always been the greatest of housekeepers and deep cleaning always seems overwhelming! I do it about once a year, but that doesn’t mean the whole house gets it exactly. So, last week I started zone cleaning. Well, one little tip she had during your kitchen clean up was to soak your oven racks in the bathtub using Dawn dishsoap. OK, little confession here- my oven racks were black!! 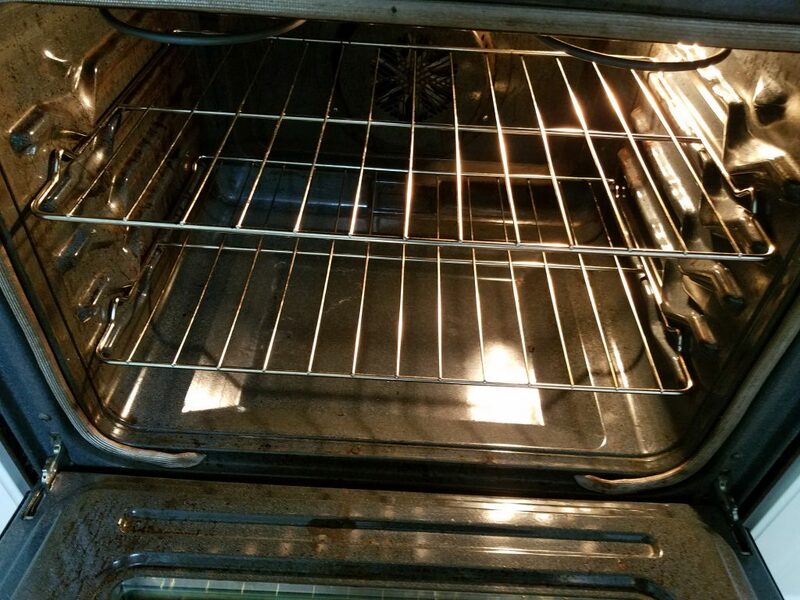 In fact, in all of my 17 1/2 years of being married, my oven racks are only silver during the first few weeks of having a new oven. (I’ve had 3 during our marriage). I mentally rolled my eyes, but decided to give it a shot. Here’s what I did: I laid out a towel in the bottom of the tub, squirted in some Dawn dish soap, put a few inches of hot water in, and threw my racks in there. I left them in for about an hour while I did other things. I was shocked to find black stuff floating in the water when I got back and the rest of it just wiped right off! Use Contact shelf liner in your drawers. How many of you have kitchen utensils in your drawers that slide around every time you open it? Or a drawer divider that does the same thing? 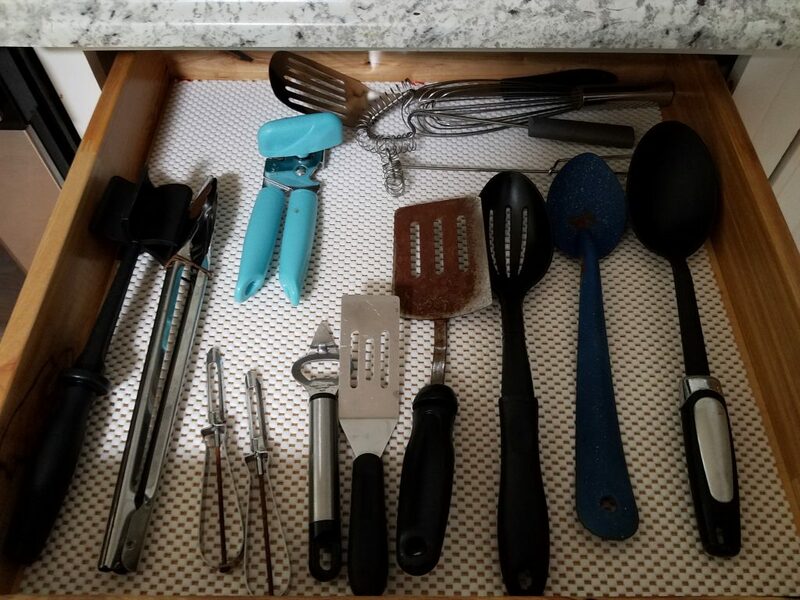 I have had drawer dividers in my kitchen drawers to help keep my utensils organized, but every time I opened those darn drawers, it slid around! It drove me nuts! I tried duck tape and sticky tack to hold them in place and they still slid around. So, a couple weeks ago I read this blog post on I Heart Organizing. She used the grip liner for a tool drawer, but I thought, why not use it in the kitchen? Seriously, people. Look at this. My utensils don’t move AT ALL. And they stay so organized! With my previous drawer divider, I had to stack certain spoons together and position them just so or they didn’t fit. Then there was the sliding around that aggravated me to no end. I love opening up this drawer now! I added it to several other drawers and it is wonderful! This would work well in a variety of places in your home- tool drawers, bathroom drawers, office drawers, etc. You are only limited by your imagination 😉 I have big plans for it in our bathroom and my office once I get to those zones. Tell me- did you try my tips? What ingenious little housekeeping tips do you have that make life easier?